CPR training. Photo credit Celia Looney. Creative Commons.Bystanders who come to the aid of someone whose heart has stopped are performing high-quality CPR that consistently meets the latest guidelines, according to a study led by Drs. Shannon Fernando, Christian Vaillancourt and Ian Stiell. Fifteen percent of cardiac arrests happen in public places, and chance of survival doubles if bystanders perform CPR and use an Automated External Defibrillator (AEDs). Many of these life-saving tools can record CPR quality and help bystanders improve their technique. Ottawa paramedic Stan Morrow came up with the idea of analyzing this data to measure quality of CPR. The research team looked at data captured by public AEDs during 100 cases of cardiac arrest in Ottawa between 2011 and 2016. They found that bystanders performed high quality CPR, with an average of 111 compressions per minute, an average compression depth of 5.3 c.m, and an average of 76 percent of resuscitation time spent on chest compressions. Most of these compressions adhered to the 2010 Resuscitation Guidelines. “Bystanders who perform CPR can and do save lives. 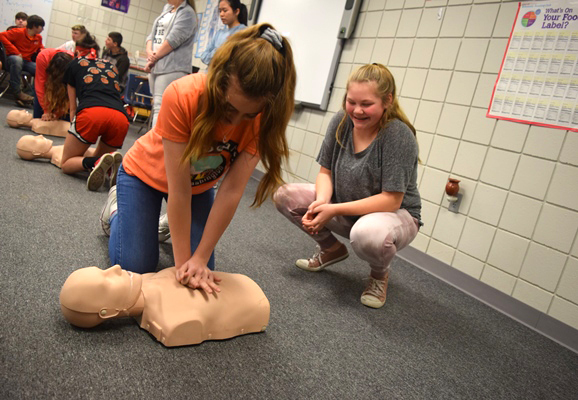 Despite limited training, we found that these bystanders are providing high-quality CPR that consistently meets the latest guidelines,” said Dr. Vaillancourt. Funders: This research was possible because of generous donations to The Ottawa Hospital for Research to Improve Patient Care. The researchers have also received support from the Canadian Association of Emergency Physicians.